Jack's Photo & Travelblog: ON TOUR to Norway Arctic, day 07 - exciting driving..
ON TOUR to Norway Arctic, day 07 - exciting driving..
After 2 nights in the small fishermen village Honningsvåg I departed this morning in the fine light of the winter morning at 08.30. Stitch of 4 photos. 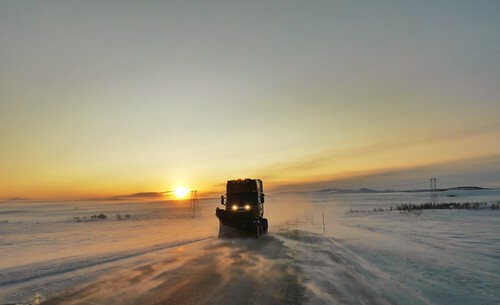 At times it was not so easy to find the highway E6 in the wind and cold temperature at -25C.